For those who are not aware, I do live in Pennsylvania, about a 2 hour drive from New York City, and I get into the city about 2 or 3 times a month. 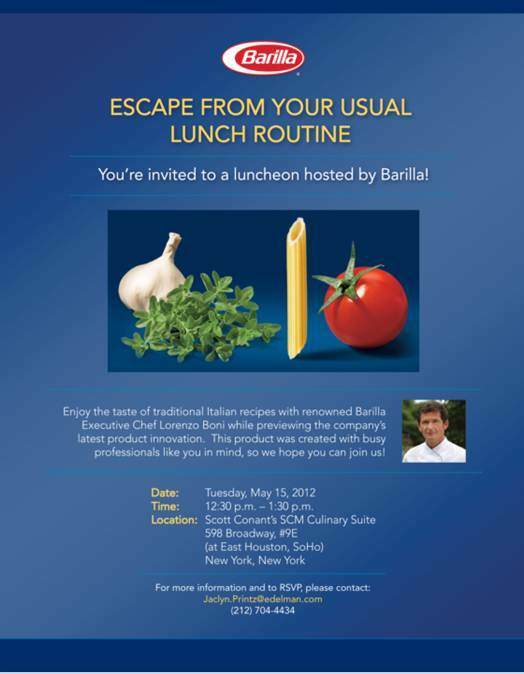 So it was not possible for me to attend this great Barilla event, but they were nice enough to send me some Barilla Microwaveable Meals to taste. Being in a Italian family, pasta was and is a big part of our dinners. My mom always made her own sauce and we still do today, but sometimes you want something quick with less effort. We were thrilled to sample these pasta dinners by Barilla, who has been around since 1877!! The concept of this meal is quite ingenious....you have the pasta in one part of the container and your sauce is separate. When you heat it in the microwave, your pasta does not get soggy because you mix your sauce once it is all heated. If you want your pasta a bit softer after you first heat it, add some water and re-heat a bit more. That is a great option if you don't like the pasta al dente. 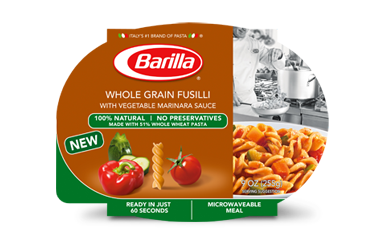 We like to eat whole grain pasta, and were happy to see that line offered with these meals as well. They are great for college students or for lunch at work because they do not need to be kept cold. 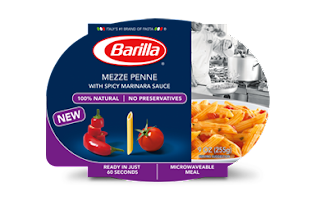 My mom and I really enjoyed this original product from Barilla and look forward to hopefully new flavors from them in the future!! 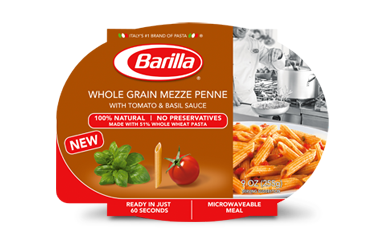 You can check out their website Barilla for a $1 off coupon and enter a contest to win some microwaveable meals!! a nice addition to the pre-cooked, heat/eat selections ... and they make good pasta! Barilla pasta has been around forever and for an italian family to say it's pretty good, it is. We are not big on prepared foods but these are nice in a pinch or for lunch. I also really thought of kids in college with just a microwave can have pasta for dinner.